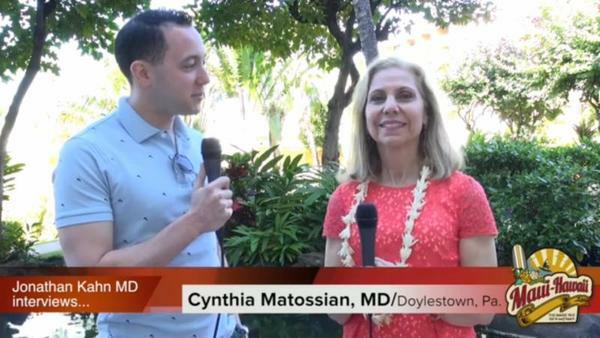 Cynthia Matossian, MD, FACS was interviewed on several topics while at the Hawaiian Eye meeting this past January. Please click here to view a video regarding the impact of ocular surface disease on the accuracy of implant calculations for cataract surgery. Dr. Matossian also spoke to EyeWorld on the topic of the dry eye workup and the treatment protocol recommended by MEA. Please click here to view the video. In addition, Dr. Matossian spoke to Ocular Surgery News regarding how MEA trains their technicians to identify ocular disorders. Please click here to view the video. Services provided by Henry Lee, MD - Our Board Certified Ophthalmologist Specializing in Cosmetic Eyelid and Facial Procedures. For more information on Dr. Lee, please click here. 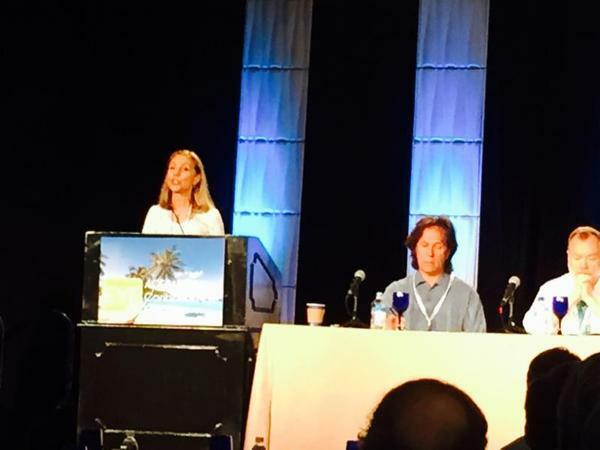 Cynthia Matossian, MD, FACS presented on the ReSure® Sealant at the American College of Eye Surgeons Meeting in February 2015 in San Juan, Puerto Rico. You are invited to attend the Grand Opening of Anita Nyari's art exhibit at the Doylestown, PA office of Matossian Eye Associates. Enjoy fresh perspectives in local art at this reception bursting with talent! Discover original works created by local artist Anita Nyari. The insightful and fresh interpretations of watercolors will impress you. Exhibition and sale of art work is available from April through July 2015. 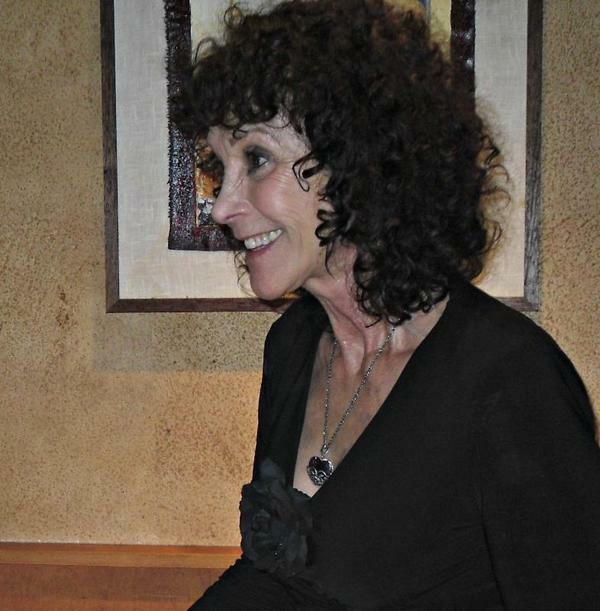 Anita will be available to speak to you about her works and artistic passions at the opening reception in the Doylestown Office of Matossian Eye Associates. We look forward to seeing you there. 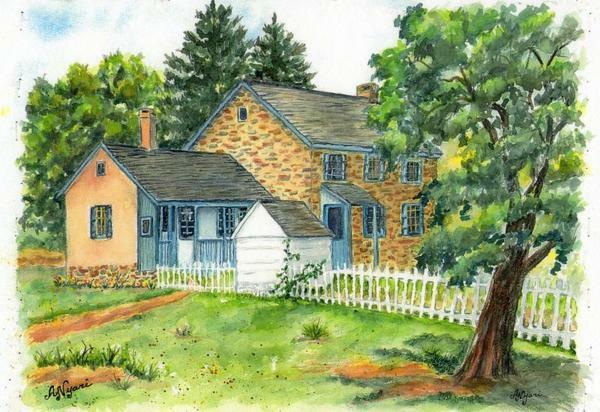 We are proud supporters of the arts in Bucks and Mercer Counties! Ilya Rozenbaum, MD is pleased to announce that a new cataract surgery measurement tool called ORA (Optiwave Refractive Analysis) is now available to patients of MEA. 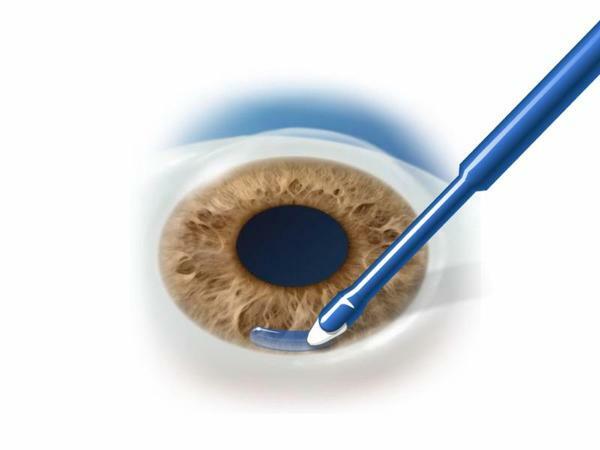 The ORA is performed by the surgeon during cataract surgery to ensure the accuracy of proper intraocular lens selection. The ORA is a real breakthrough that increases the precision of correcting vision with cataract surgery. Especially for patients with astigmatism and those who have had prior refractive surgery such as LASIK or PRK, or those who are having a multifocal or accommodative lens implanted, ORA can improve the accuracy to help reduce the need of glasses after cataract surgery. Currently the ORA system is only available to use at the Wills ASC in Warminster, PA.
Each year, 300,000 Americans visit the emergency room to treat a workplace eye injury. 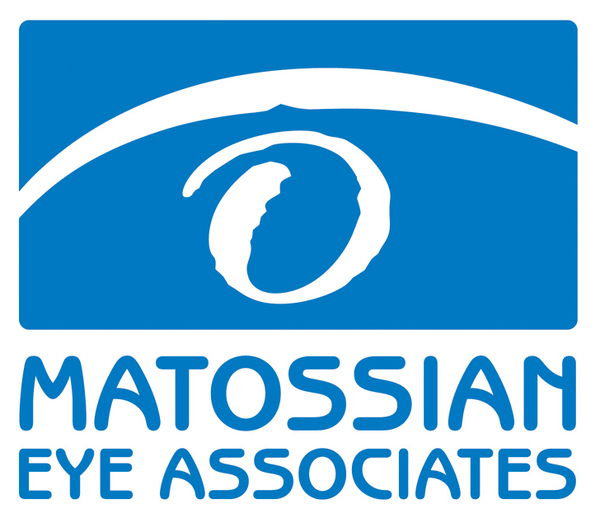 During Workplace Eye Wellness Month in March, Matossian Eye Associates is joining the American Academy of Ophthalmology in reminding employers and workers in these fields about the importance of wearing proper eye protection. Wear protective eyewear whenever there is a chance of eye injury such as anywhere there may be flying debris, falling objects, chemicals and intense light and heat. This is particularly true of workers involved in welding. Among welders, their assistants, and nearby workers, UV radiation burns (welder's flash) routinely damage workers' eyes and surrounding tissue. Make sure your eye protection is American National Standards Institute (ANSI)-approved, OSHA compliant, and is appropriate for the hazards in your workplace. If you are working in an area that has particles, flying objects, or dust, you must at least wear safety glasses with side protection (side shields). 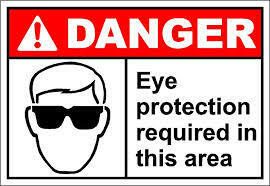 If you are working with chemicals, you should wear goggles. If you are working near hazardous radiation (welding, lasers or fiber optics) you must use special-purpose safety glasses, goggles, face shields or helmets designed for that task. DO NOT remove the object stuck in eye, rinse with water, rub or apply pressure to eye. Avoid giving aspirin, ibuprofen, or other non-steroidal, anti-inflammatory drugs. These drugs thin the blood and may increase bleeding. DO gently place a shield over the eye. The bottom of a paper cup taped to the bones surrounding the eye can serve as a shield until you get medical attention. After you have finished protecting the eye, see a physician immediately. DO immediately flush the eye with plenty of clean water, and seek emergency medical treatment right away. DO gently apply a small cold compress to reduce pain and swelling. If a black eye, pain, or visual disturbance occurs even after a light blow, immediately contact an ophthalmologist or go to the closest emergency room. Remember that even a light blow can cause a significant eye injury. DO use eyewash to flush the eye out. If the debris doesn't come out, lightly bandage the eye and see an ophthalmologist or visit the nearest emergency room. Ilya Rozenbaum, MD is now certified in the use of Resure® Sealant. The ReSure® Sealant is a first-of-its-kind ocular sealant proven in a U.S. clinical trial to be safe and effective in sealing clear corneal incisions following cataract surgery. The ReSure® Sealant is prepared and applied in about 20 second and gels instantly, protecting incisions in the immediate post-operative period when wounds are most vulnerable to infection. Matossian Eye Associates stays on the cutting edge of technology with Cynthia Matossian, MD, FACS already using this product and participating in clinical trials with Resure® Sealant and presenting on the topic at national conferences of her peers. MEA's Christine Worrel has passed all necessary exams to become a Certified Ophthalmic Assistant. Priya Desai, MD, MBA was interviewed for the article, "Focus on Glaucoma: A Bucket Full of Adherence Advice," which was featured in the February issue of Ophthalmology Management. Please click here to read the article. 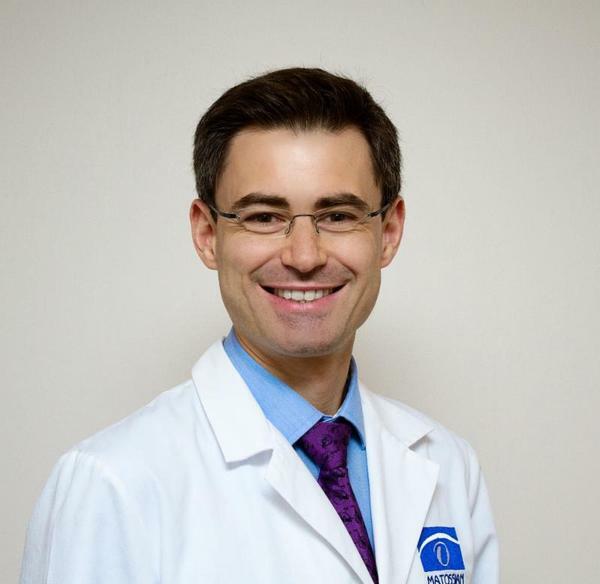 Ilya Rozenbaum, MD is now certified in the use of ReSure Sealant. 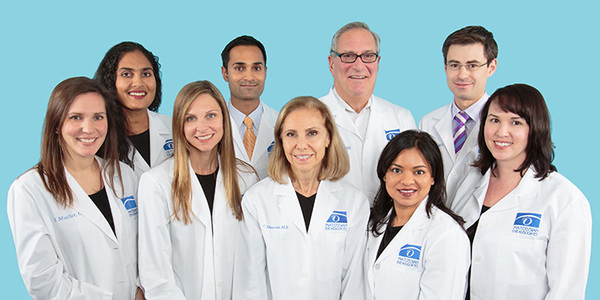 Cynthia Matossian, MD, FACS had the following articles published:"Interdisciplinary Meetings Help Improve Treatments," Ophthalmology Management, January 2015, please click here to read the article.